Blend the ice cream, milk and cappuccino syrup until nice and smooth. Pour mixture into Zoku Slush and Shake Maker, stir and scrape the side until slush forms. Once the mixture has reached your desired consistency, top off with whipped cream and a sprinkle of fresh cinnamon. 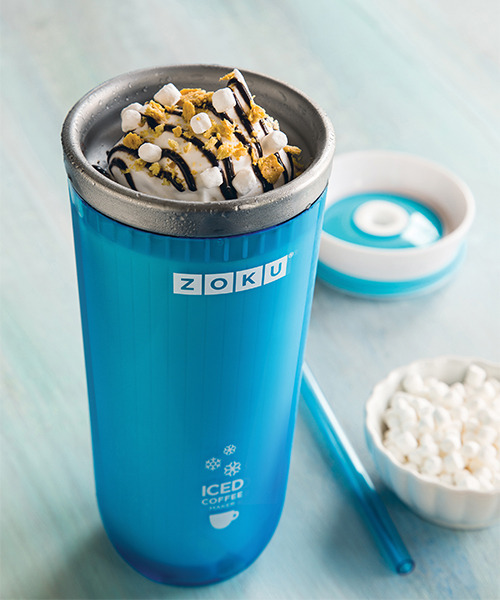 FOR MORE The Zoku Slush and Shake Maker is a fun and easy way to make slushies and shakes at home in as little as 7 minutes. Learn More. Stir together hot coffee, vanilla creamer and chocolate syrup. 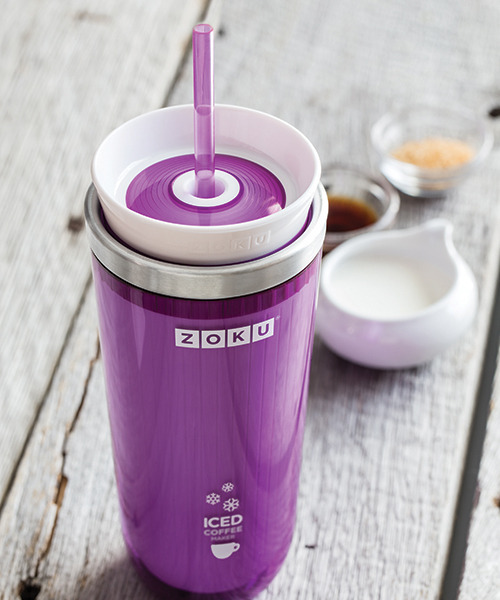 Pour coffee into Zoku Iced Coffee Maker. Place on lid and straw; wait 5-7 minutes for coffee to be chilled. Stir together hot coffee and turbinado sugar. 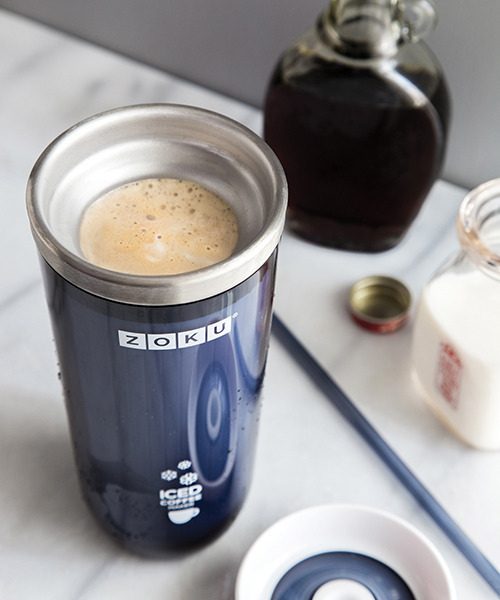 Pour coffee into Zoku Iced Coffee Maker. Add vanilla extract and half and half and stir to combine. Place on lid and straw; wait 5-7 minutes for coffee to be chilled.